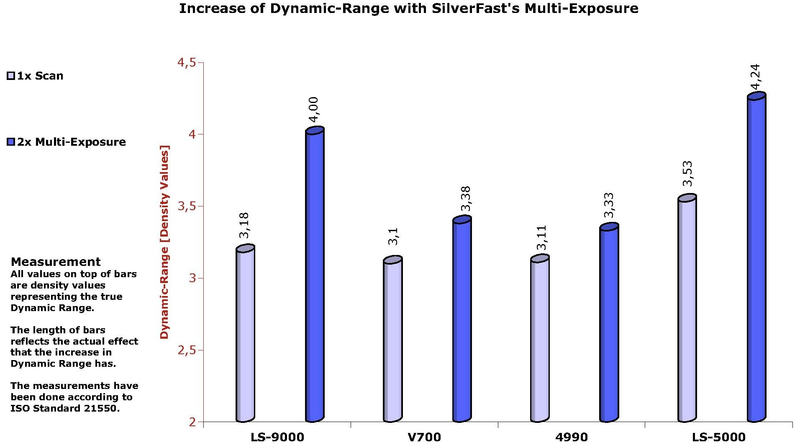 Multi-Exposure® is one of the most popular SilverFast features. Experience here how your slide and negative scans can benefit from it. What is Multi-Exposure and what can you use it for? 1. What is Multi-Exposure and what can you use it for? Multi-Exposure is a technique for increasing a scanner's Dynamic Range developed by LaserSoft Imaging. What is the Dynamic Range? The Dynamic Range of a scanner, also referred to as density range or contrast range, is a measurement for a scanner's capability to recognize contrast levels. Contrary to reflective originals like photo transparent originals (black & white film), color negatives and slides consist of multiple film layers, which respond to light differently. Therefore, transparent originals achieve a high Dynamic Range when captured, which usually exceeds a scanner's capabilities. As a consequence, especially in the very light and shadow image areas, image details get lost when scanning. The Dynamic Range of each stage (capture, scanning, editing and storage) plays a crucial role in the quality of the final output. Generally, technologies with greater Dynamic Range produce better results. How does Multi-Exposure increase the Dynamic Range? 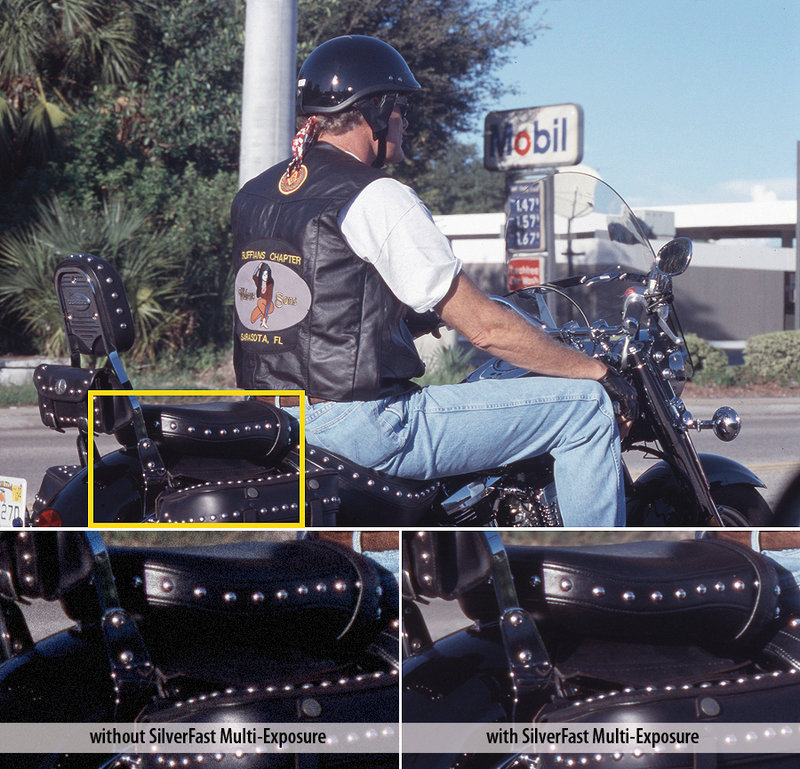 SilverFast Multi-Exposure records an original's maximum Dynamic Range by performing a double scan with an increased exposure time of the second scan. This procedure captures the light image area's details in the first pass and the the shadow details in the second. Afterwards an algorithm calculates the final scan, which now contains any detail, from each single scan. If Ansel Adams had been a software developer there is a probable chance he would have developed the SilverFast Multi-Exposure function for LaserSoft Imaging. Being the greatest master of Dynamic Range in photography, he was the first to systematically measure the sensitivity of all the equipment involved. Following his example LaserSoft Imaging researched to consider the high Dynamic Range of slides and negatives during the scan process. 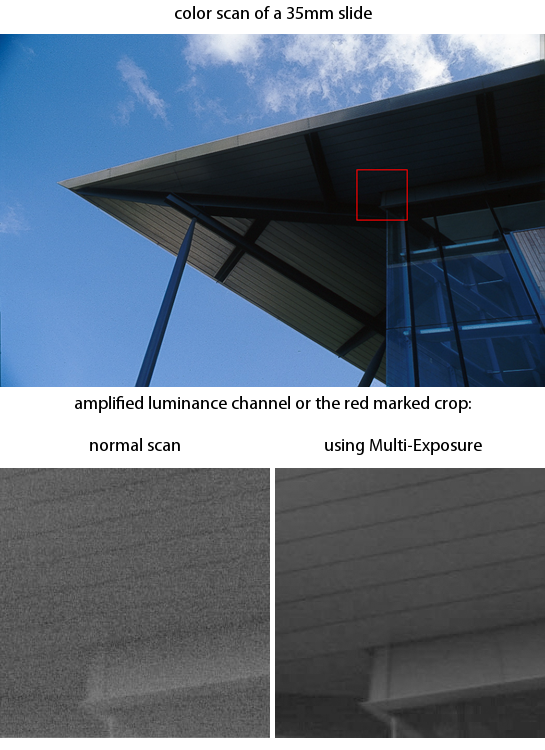 (click to enlarge) Exposing an original twice with different exposure times can reduce image noise and record more image details in the light and shadow image areas at the same time. This is especially noticeable among sharp highlights and distinct textures. Multi-Exposure was used to considerably reduce image noise in the example image on the left. In the image above Multi-Exposure managed to capture a lot more image details in the shadow areas. These differences would be especially stark when printing in large format. The increase of Dynamic Range with Multi-Exposure is not only describable with words and pictures but also measurable with objective data. The density (density range = Dynamic Range) is specified as the decade logarithm of the light transmission's reciprocal. That is, a Dynamic Range of 2.0, 3.0 or 4.0, respectively, means the scanner is able to implement a contrast ratio of 100:1, 1000:1 or 10,000:1, respectively. Therefore, an apparently slight Dynamic Range increase in the Epson Perfection V700 example from just 3.11 to 3.38 actually means that the V700 with Multi-Exposure is capable of perceiving a contrast ratio of not just 1300:1, but of 2400:1. The following chart demonstrates this circumstance. 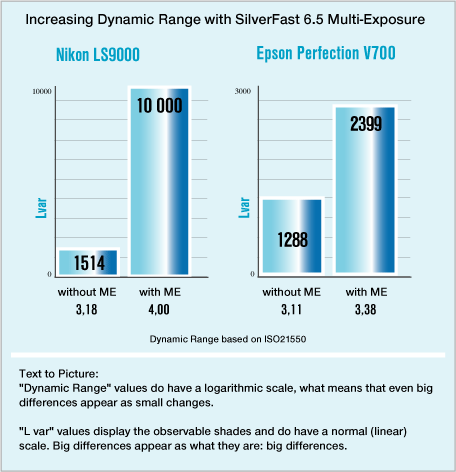 This kind of Dynamic Range is usually only achieved with drum scanners, which can cost up to many times the price of a flatbed or film scanner such as the tested Epson Perfection V700. Multi-Exposure is a feature of SilverFast scanner software SilverFast SE Plus 8 and SilverFast Ai Studio 8. Thus, it's also part of our Archive Suite 8 software packages. 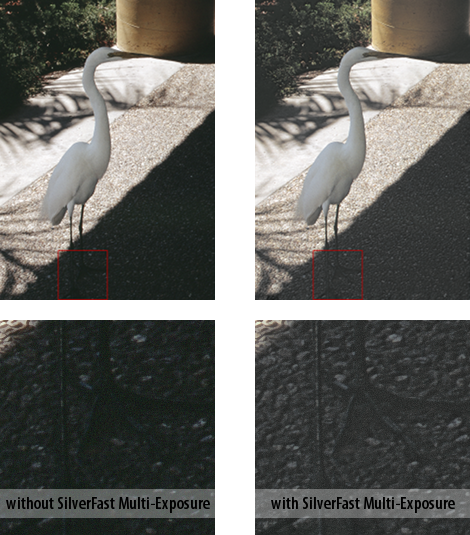 If you already own a different SilverFast edition, but are wanting to use Multi-Exposure, we offer the possibility to receive a crossgrade at a reduced rate. The original to be scanned has to be transparent like slides or negatives. This technique is not usable for reflective originals like photos; however, due to the lesser Dynamic Range of such samples it is not necessary. For best results please ensure that the original cannot be moved out of place during the double scan: Use a film holder or fix the slide with tape. 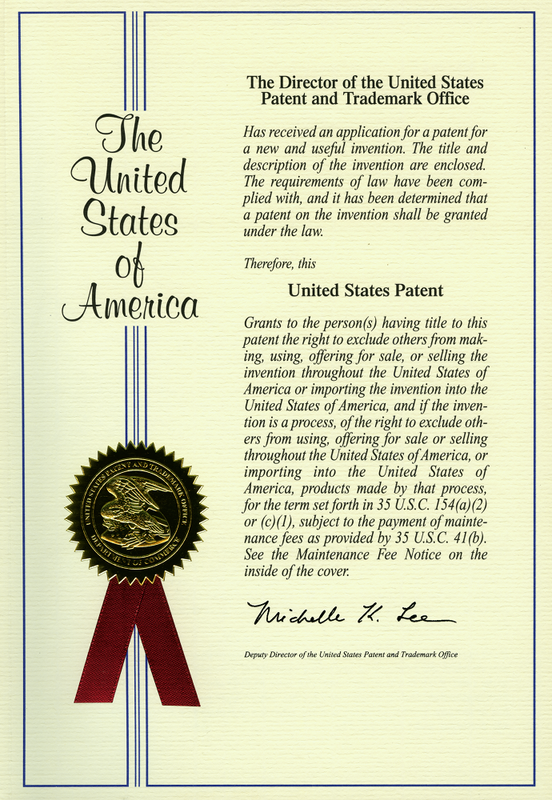 This is necessary to prevent the slide from slipping as a result of vibrations which may occur during scanning. Besides our other SilverFast Kodachrome features Multi-Exposure is well suited for scanning Kodachrome slides, which are very hard to digitize due to their very high Dynamic Range. Multi-Exposure fits perfectly into the new SilverFast HDRi workflow. HDRi scanner RAW data captured with Multi-Exposure contain any image detail. Therefore, the SilverFast Archive Suite 8 is best suited for fast archiving and later post-processing. EDP AWARD for BEST COLOR MANAGEMENT SOFTWARE 2008: "The award is given for improving the Dynamic Range of most scanners thanks to its Multi-Exposure® feature and for creating ICC profiles automatically."